-There is a 10 working day deadline to submit application forms before Council meetings: if you send your application after the set deadline, you will be accepted at the following Council meeting. There are 3 Council meetings a year: one in the Spring (February), one immediately before the start of the annual ERA-EDTA congress and one in the Fall (October). -New members must pay their annual membership fee to receive the membership benefits (i.e. voting for the ordinary council member elections, if Full members; accessing the General Assembly; access to the members’ restricted area; discounted congress registration fee; etc.). If they do not pay within one year of the Council’s acceptance of their application they are automatically removed from the list of members. - All new members can choose to pay the current annual membership fee, or the membership for the coming year. -Payment methods accepted: bank transfer and credit cards (visa and mastercard only, exclusively submitted using the online payment system). Cash is accepted only at the ERA-EDTA membership desk during congresses and other events where an ERA-EDTA booth is present. We cannot accept cheques. 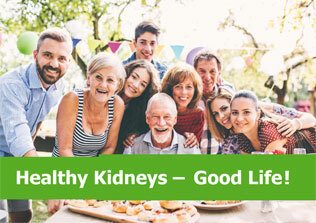 European Renal Association European Dialysis and Transplant Association (ERA-EDTA). Important note: for administrative reasons, starting 2017, we cannot accept payments made by using the paper payment by credit card forms sent by post and/or fax, thus only the online payments done by credit card will be accepted. 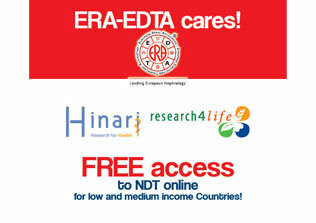 Should you have any problems with your online payment, please contact the ERA-EDTA Membership office. Junior applicants: if you apply for junior membership you must upload a scanned copy of your personal picture identification document where your birth date is clearly written during the application procedure. Please click here for full information on junior membership requirements. JUNIOR MEMBERSHIP ENDS AT THE END OF THE 40TH YEAR. Not sure if you have paid your current membership fee? Please enter the restricted area of the website and check. If you cannot enter, please request your credentials by clicking here. 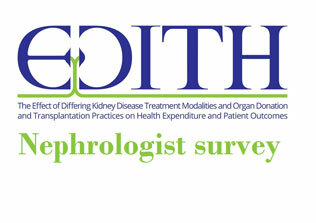 -In order to apply for ERA-EDTA Membership, you must fill in the online application form. -Once you finalize and submit your application, you will receive the copy of your application automatically at your e-mail. After your application has been processed, you will receive more information on your membership by e-mail. 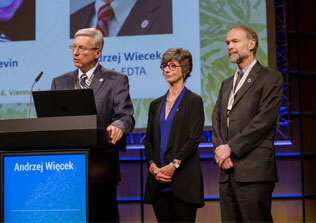 When ratified by the ERA-EDTA Council, all the information regarding your ERA-EDTA membership, will be available in the restricted area of the ERA-EDTA website. If you intend to apply for a group of new members, please contact the ERA-EDTA membership office membership@era-edta.org or download the membership excel sheet to fill in with all requested information here. Click here and fill in all requested information. Once you finish your payment, you will receive a confirmation by e-mail. If you pay by bank transfer, please write your name and ERA-EDTA membership number on the bank order. Please allow up to 10 working days after your payment has been made before you can access NDT online. You may renew your membership for up to 3 years. There is no automatic debit to your card for your membership renewal. 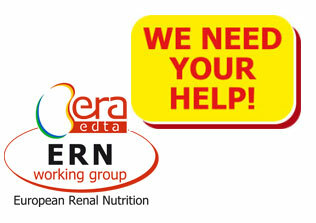 If you intend to renew the membership for a group of members, please contact the ERA-EDTA membership office membership@era-edta.org or download the membership excel sheet to fill in all the requested information here.